FRANKFURT -- Mercedes-Benz aims to take out billions in costs every year by reducing the number of vehicle platforms and using more common parts across segments, Thomas Weber, head of research and development at Mercedes said in an interview with Automotive News Europe sister publication Automobilwoche. "We expect a reduction in costs of more than 1.5 billion euros ($1.94 billion) annually. It's our target to achieve the full savings effect in 2014 ideally, or 2015 at the latest," Weber said. "Instead of designing every new car from scratch, we will focus on three architectures: one for rear-wheel drive cars, one for SUVs and one for front-wheel drive compacts," Weber added. 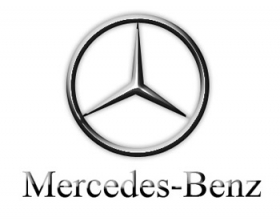 Additionally, Mercedes has standardized around 90 components that can now be used across all architectures, Weber said. Carmakers like Volkswagen AG and now Daimler are switching their production to modular toolkits that can be used across segments to achieve synergies. Previously VW could only gain cost savings across brands using the same chassis, such as the VW Golf and the Audi A3 that were built on the "PQ35" platform for compacts. Weber added that he wanted to thin out the R&D budget at the overall Daimler group to 4 percent assuming a consolidated revenue of 100 billion euros, instead of the 4.9 percent of sales used in 2010. "My goal is to increase R&D expenditure disproportionately less than our sales growth," he told Automobilwoche.